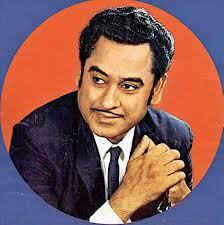 The ideal of million fans Kishore Kumar has contributed a lot for Indian cinema. He started his career as a playback singer from 1946 and he gave his more than 40 years to the bollywood music. He was the great fan of singer and actor Kundan Lal Saigal. He was wanted to sing like Kundan Lal Saigal. But actually he was not so serious about his career in music. After settling in Mumbai he become serious and sung thousand of hit song. He was a multi talented personality as Singer, Actor, Song Writer, Director, Composer, Entertainer as well as a good Script Writer also. If you are willing to find the Song of Kishore Kumar so here your desire will be fulfilled. Here you will find the List of All Songs Lyrics of Kishore Kumar in Hindi. You may download them as per your convenience.